Fun Educational Game For Kids! A Fun Educational Game for Kids! This educational game for kids is fun and engaging! 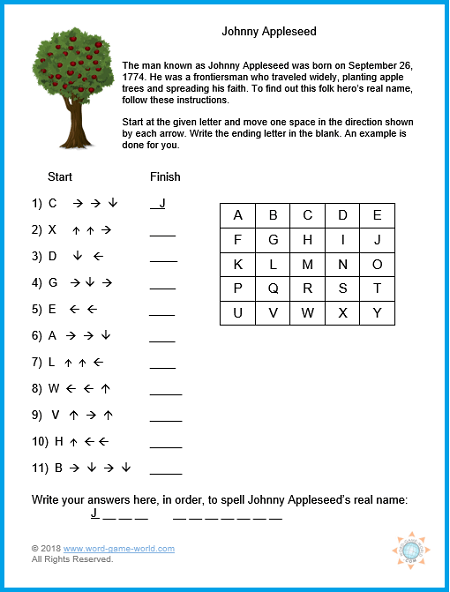 Kids may work alone or with a partner to uncover an interesting fact about the legendary Johnny Appleseed. 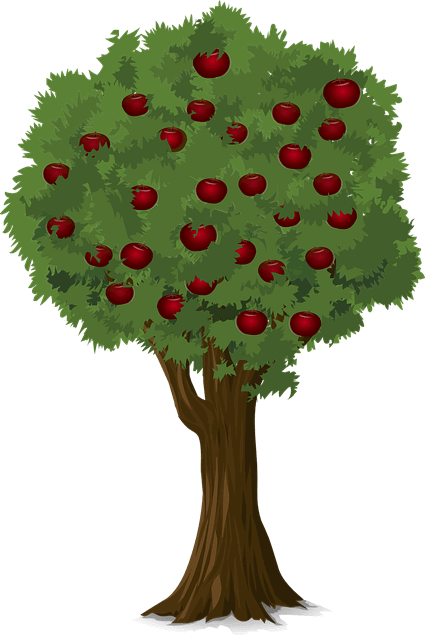 The man known as Johnny Appleseed was born on September 26, 1774. He was a frontiersman who traveled widely, planting apple trees and spreading his faith. To find out this folk hero’s real name, follow these instructions. Start at the given letter and move one space in the direction shown by each arrow. Write the ending letter in the blank. An example is done for you. Solve it here or use this convenient printable page. Encourage students to write similar puzzles about other interesting historical figures. The information that they hide in their puzzles could be the person's real name, as on this page, or their birth place, one of their inventions, a famous family member, or an important event that's tied to this person. Or, let students decide to hide an entire sentence of fascinating trivia! Looking for Another Educational Game for Kids? If so, then stay awhile and look around! Use the tabs on the left to find the type of game or puzzle you're interested in. Detecting a Device - Once again, students must follow explicit directions to unearth an interesting bit of trivia. It makes a great partner activity to this Johnny Appleseed activity! Memory Brain Games - There's something here for almost any age! 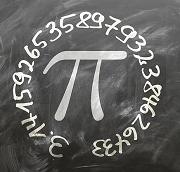 Find a detailed picture to memorize, a large chart of words to analyze from memory or play a party memory game. No matter your choice, you're sure to stretch those brain cells a little AND have a LOT of fun! Remember, we have lots more educational games throughout this site. Find many more by using the tabs on the left under Kids" Corner. Be sure to contact me if you have any questions.